Thriving vs. Surviving. Understand the Difference. Make the Change. Our Health Is The Greatest Gift We Should Never Take For Granted. Helping Families Thrive Physically, Emotionally And Financially. Struggling? Feel Like You're Destined For More? Does it feel like your life is spinning out-of- control? Do you look in the mirror and not recognize yourself? Has your relationship hit a flat spot, your career path feel unclear and unsatisfying, and nothing excites you anymore? If this is you, The Identity Shift can help end that downward spiral. In this beautifully written book, Lisa Wolny shares her story of how at age 30, with 2 small children, she suffered a debilitating stroke and was told she couldn’t have any more kids. Years later, the unexpected shock of a lifetime came when she had not 1, but 2 surprise babies. Multiple sleepless nights with 2 toddlers in diapers, plus the demands of a busy home with 2 teenagers, created an emotional storm that brought her to her knees. People saw her as an inspiration, but no one realized she was dying inside. In an explosive moment of inspired action, she took her life back, proving that rock bottom can be the greatest gift to ignite and fuel the fire within. It’s not every day that you meet someone that can single-handedly transform your thinking and your life. Lisa Wolny is such a person. I met Lisa in a local grocery store of all places, picking out cucumbers. That random conversation with a complete stranger, and the ensuing conversation we’ve had since, have had such an impact on me, that I’m hard-pressed to think what my life would be like without her in it. She has such a welcoming, yet fiery energy about her, that you can’t help but get swept away by her positivity, optimism, contagious laugh, and genuine presence. The Identity Shift captures the very best of Lisa, her wisdom, sense of humour, farm-life lessons, and insightful take-aways. She is, in a word, incomparable. I recommend this book to those who are struggling with self-doubt and self-confidence, and for those who feel there must be more to the life they are living than their current experience. To those folks I say, read the book and do the work: Your shift awaits! Reading this book is like having a long weekend with your best friend. You will laugh out loud, cry, and be inspired. It's like Lisa is talking directly to you and showing you how to up your game. Prepare to be captivated by the stories and advice Lisa has for you. So many a-ha moments and chills! After reading this,you will no longer accept your excuses for not living a full life. Prepare for a massive shift...it's coming! Inspiring, relatable, and authentic are just a few words that came to my mind as I read this book about an incredible woman and her journey! At times I felt as though I was reading a chapter out of my own life. As a Mother of four children, two step-children, and a busy,hard-working husband, this book reallyhit home in many areas. 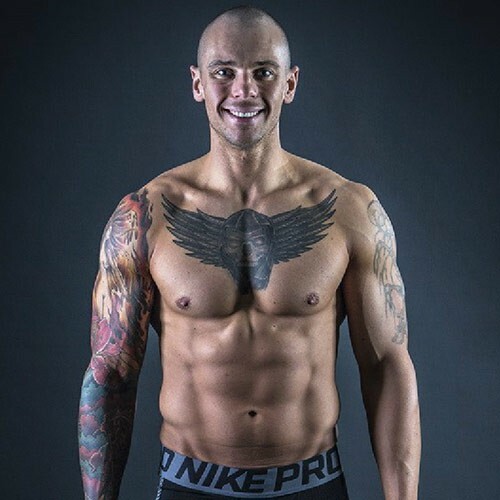 For the first time in my life,I felt as though I could make the shift from feeling burnt out with so many challenges pouring in, to building a better me both in mind and body. There was a specific quote that stood out to me, “We do not heal the past by dwelling there. We heal the past by living in the present.” The opportunity to read this amazing book could not have come at a better time for me. Your words, strength andexperiences have given me so much hope thatyes, I can do this! 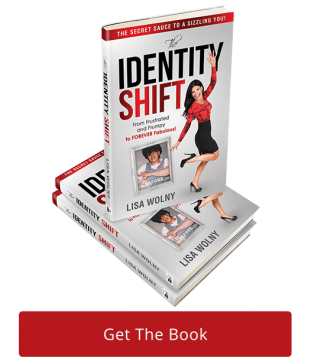 I can make an identity shift starting today!Thank you so much for the opportunity to read your book Lisa. You have and continue to inspire me every day! PS. I am not a “reader,” however, you will notice it's 1:25 am as I send this message…I just couldn’t put it down! What an amazing book! I don’t think I have ever sat down and read a book cover to cover before in one sitting. I couldn’t put it down! Lisa is a powerful woman with an incredible drive for impacting everyone she meets. Her message is from the heart and driven by love and compassion to help everyone be the best versions of themselves they can be. The Identity Shift has left me enlightened and excited to share it with every exhausted mother I know who needs to hear this message and will be a must read for my kids as well! Simply amazing! Don’t give up, there is a solution to every problem! Until the day I die, I'll always be thankful for Lisa Wolny. My husband’s transformation has been nothing short of life-changing for him, our relationship, and our whole family. 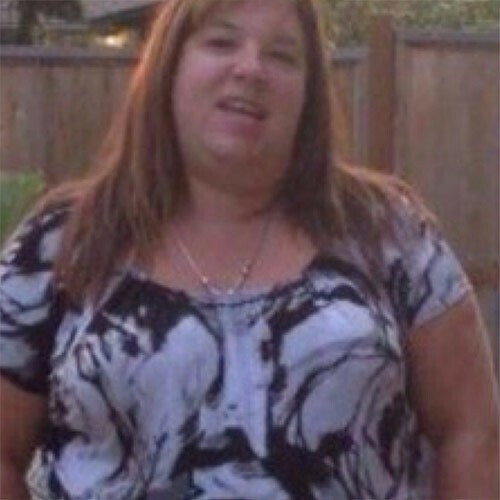 Lisa's guidance helped him lose a total of 50 pounds of fat that was saturated in negativity. 50 lbs that had previously prevented him from savouring life and truly enjoying fatherhood and our family. With the weight loss also came a new-found confidence. When all of Alberta was struggling to find work, my new and improved, confident husband was able to land a promotion and pay increase despite a very bleak economy. And, instead of parenting from the couch, he is an engaged parent and has the energy to keep up with our four young boys. He transformed from the toxic dad on the couch to the Dad that every kid dreams of. Thank you, Lisa! This book is riveting, well written and over the top helpful. I couldn’t put it down. Lisa Wolny is a special person and one of God’s angels placed on this earth to help and to heal others. The fate Lisa was handed might have defeated most people or lead them to a lifetime of substance abuse. She is a TIGER, a fighter, and a true leader. She does not accept excuses in herself or others and has risen from the humblest of beginnings, to build a successful business that marries health and wealth together for her and her community. In this book, be prepared to be rewarded with a plethora of tools and wisdom from Lisa’s tool box of life. She’s a game-changer and a life shifter. I Loved this Book! 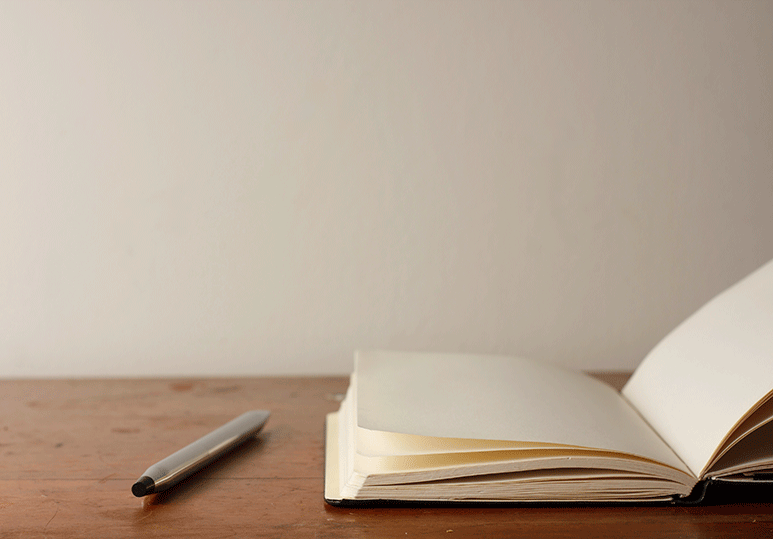 If you need to take a hard look at your excuses and lose them, this is the book to read. Incredibly inspirational and motivating, filled with heart and compassion. What a story of courage, triumph and never giving up!! WOW…what a great read! I loved it! Your message is clear. We cannot help anyone by always giving them a nicey-nicey approach, which is one of the things I love about you. Your book has reminded me that if we want something, we have to make the decision and do the WORK – nothing in life comes easy. If we say over and over, “It’s OK,” every time we drop the ball, no one gets ahead. We cannot learn to be better unless we look at our faults and utilize our strengths to achieve. I love the statement “Never Defend Ignorance.” If we want to move forward, we need to be encouraged to grow, become self-aware, learn how to make strong, healthy decisions and be OK when we meet with barriers and negativity. Thank you so much for trusting me to read this before it went to publishing. I am honoured. It will empower and lead people out of a mundane existence if that is what they want. Colleen Deveyrac, MLI, BED, BPE. After years of searching for a long term health and weight loss solution that was easy, tasty, effective and sustainable I found what I had always been looking for, and discovered so much more. The difference is that Isagenix is a health program and NOT a diet, therefore not only did I release all of my unwanted weight and achieve my dream body, I have never felt better and have been able to successfully maintain my results for over 7 years now, which was a first for me. 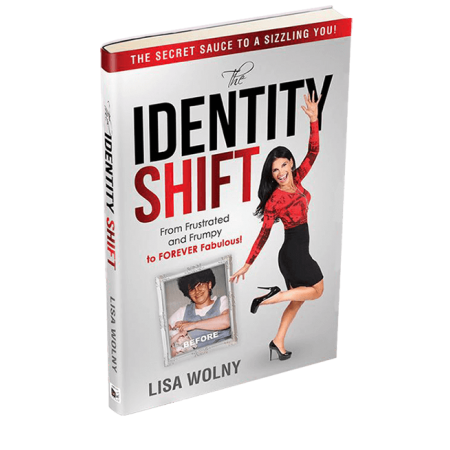 Lisa Wolny is a high-energy speaker, trainer, author, mother of four, and former farm-girl living in Calgary, Alberta, Canada. She is a World Beauty Fitness and Fashion INC (WBFF) Pro Fitness Model, highly sought after health and wellness coach, and a world top 1% Network Marketing Professional. Lisa has appeared on “Here’s to Your Health” with Film and Television Star Marilu Henner and is a familiar weight-loss, lifestyle, and body transformation expert on Calgary’s Global News Morning Show. Lisa is passionate about helping others thrive vs just survive, and looks forward to helping you live your best life! Ready For A Change? Let's Start Your Journey Here. Together. I wanted to celebrate two milestones for myself that came up this week: (1) two years of Isagenix and (2) 6 months chewing tobacco free. To a large extent 1 leads into 2. Back in April 2016, I was in a real difficult space trying to find the energy to balance a corporate career with the day-to-day challenges of a wife and a family of 4 kids. I was incredibly fortunate to have a the support of Christy and a rock-em sock-em hockey mom and great friend in Lisa Wolny to get my mindset sorted out and take control of my health and diet. That moment two years ago has really been a turning point for me and our family. And yes, I’m confident that many of you were asking yourself “WTF is Enwright doing posting pics with his shirt off?” Believe me, I get it. I was as uncomfortable as hell from behind my keyboard. Same time I knew I had friends that shared similar challenges with their diet and lacked the energy just as I had. 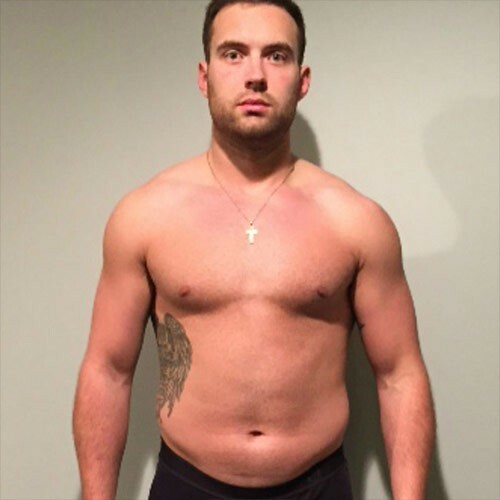 More than just losing the weight – which has been incredible - the best part from these past two years has been helping my friends get their mindset straight in understanding the importance of a healthy diet and offering a program that can work for them. And with that focus on mindset, it has really helped me in breaking my chewing tobacco addiction. Six months is the longest I’ve ever been without dip and honestly, it feels to be able to taste food again. Nicotine is a wicked addiction and I’m just appreciative of all the people that have helped me overcome it and put dip in my rearview mirror. So with that, thank you to my friends and family for the support and sharing your stories along the way these past two years – I’m incredibly grateful! I’ve always defined myself as “an athlete” and even won female athlete of the year in High School. 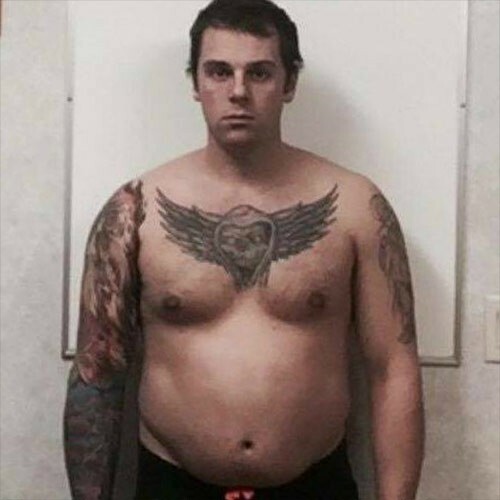 Fast forward a few years, I had put on an extra 50 pounds. I was still going to the gym but was completely devastated by what I had allowed my body and mind to become. I was in a body I did not recognize and needed to change, or it would keep getting worse. I wanted to stop the up and down yo-yo dieting that seemed to dominate my life. When I met you Lisa, your tell-it-like-it-is, no sugar coating approach was exactly what I needed in a support coach. You absolutely changed my life! With your support, I completely transformed my body and mind during the Transformation Challenge and now, three years later, I am fitter and healthier at 51 years old, than I have ever been! Lisa, you gave me the truth I needed to succeed, and I am grateful beyond words. Thank you so much! Nearly two years ago I was struggling to stay alive. I was stuck in a negative force that was literally sucking every ounce of energy out of me. I was internally rotten. Then you came into my life Lisa and ignited a spark in me that has forever changed me. You showed me a path of goodness and health which led me to embrace the most powerful belief in myself: self-love. Hi, Lisa. I was up at training in Edmonton today and I have to thank you for sharing your story. It rocked me. Tears were streaming down my face. I have a 7-year-old daughter and 14-month-old twins. I was able to relate to your story more than any other story that I’ve heard in the past. Thank you. You are truly an inspiration. Is Group Exercise a Good Choice for Weight Control? Got Questions? Ready to Get Started? Let's Get In Touch! © 2019. «Lisa Wolny». All rights reserved.